Thank you for your interest. We look forward to answering your questions! 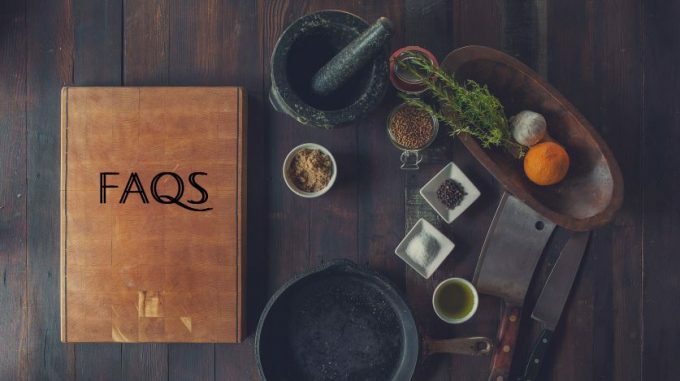 Below you’ll find some frequently asked questions that cover a variety of topics such as food safety, cooking, nutrition, and diet. How much added sugar is recommended per day? What are some foods that are high in fiber? Will bananas cause me to gain weight? Very personal questions such as, “Can I have a meal plan for my recent diagnosis of xyz” or “I have a lot of stomach cramps, which foods should I eliminate?” are best addressed by a dietitian in person to provide you with the most comprehensive care for your individual needs. I have lactose intolerance, how can I get calcium from food sources? -Calcium is the most abundant mineral in the body and is very important for our health throughout the entire life cycle. Calcium aids in the maintenance of heart and bone health, reduces risk of osteoporosis and related bone fractures, as well as supports muscle and nerve function. Those with lactose intolerance do not produce enough of the enzyme (lactase) necessary to digest the sugar in dairy (lactose) and are advised to consume a variety of calcium-rich, lactose-free foods. While the content and ease of absorption varies, calcium is found in a variety of plant foods. Below lists some significant sources of calcium from lactose-free foods. Depending on the individual sensitivity, some find that certain aged cheeses, yogurt, and goat’s milk products in small amounts are better tolerated than other dairy products like cow’s milk and ice-cream. What’s the deal with the ketogenic diet? The ketogenic diet has been used for centuries to treat specific medical conditions, such as epilepsy, but is now used to help with weight loss. The ketogenic diet promotes a very high fat intake (about 75% of your calories) along with a very low carbohydrate intake, and a moderate amount of protein. This forces the body to burn off all available stored carbohydrates, and use fat as an energy source – which is also what also happens during the early periods of starvation. The brain, however, needs glucose (carbs) for fuel. Therefore in its absence the liver produces ketone bodies from fat, which can be used instead of glucose. When ketones accumulate is the blood, this is called ketosis. Proponents of the diet state that being in ketosis also helps curb their hunger. Since it limits fruit, beans, starchy vegetables, and grains – people may have a tough time meeting their vitamin and mineral needs, and may also not get the fiber needed to promote healthy digestion. Average daily carbohydrate intake on a ketogenic diet may be as low as 20 grams a day, or about the size of a medium apple. The diet is very rigid and often difficult to stick with over the long term. Weight loss occurs from an initial loss of water weight as the muscles become deleted of their energy, and then from reduced calorie intake as people begin to eat less. If you are very active, a ketogenic diet may limit your ability to get the needed fuel to your muscles. If you need help determining the right approach to weight loss, contact a dietitian. Because of the biochemical changes that may occur in the body with a ketogenic diet, close medical supervision is warranted. There are questions about its long term impact on cardiovascular health. A review by the Harvard School of Public Health provides an objective approach to the diet in terms of weight loss. Carbs are found in a lot of different foods, some that are healthy and not so healthy. Our bodies, especially brains, need carbs to function efficiently. Choosing carbs that provide nutrition, think plant-based whole foods such as fruits, vegetables, whole grains, beans and lentils, can provide healthy carbs and fuel your body while minimizing some of the negative side effects that you may experience from other sugary carbohydrate foods and beverages (such as candy, pastries, white bread, soda, sweet tea). Fat has had a bad rep over the past few decades. While fat does contain fat and has the most calories per gram, fat will only make you fat if you eat more than your body needs, like with any of the other macronutrients (carbs and protein). Fat is essential to our bodies; it protects the heart, supports brain and eye health, and promotes feeling full, to list a few. The key is to choose nutritious fats (such as olive oil, nuts, avocado, salmon) rather than for example, fried foods, heavy cream sauces, industrialized vegetable oils (refined soybean, cottonseed oil…), and large quantities of fatty meats, as well as be aware of portion sizes to support health and a healthy waistline. Which supplements should I take to support my health? From FDA.gov, “FDA is not authorized to review dietary supplement products for safety and effectiveness before they are marketed.” FDA regulation of supplements is much different than that of food and beverages, therefore the product may contain unknown ingredients or different quantities than what is listed on the label, which could pose a risk to health, rather than help out. A medical doctor, dietitian, or other professional provider may prescribe or recommend a supplement based on lab work or other diagnostic criteria as required to improve health status. This is the safest route, as sometimes the signs and symptoms we experience may not be a condition we think we have and taking the wrong supplement may come with additional side effects. Asking for a trusted brand from your provider will ensure highest product standards and manufacturing processes. To learn more, check out FDA’s regulation on dietary supplements. Is it true that there will be some changes to the nutrition facts label? Yes, there will be new formatting to the nutrition facts label! Expect to see the change by 2020 for large companies, and 2021 for smaller companies. You may have already noticed a label change on some products. For more detailed information on what to expect with the new label, click here. How do I know when meat is done cooking? Often times the appearance of cooked meat may be deceiving. The most accurate and safest way to know is to use a food thermometer. A thermometer is also an accurate measure to ensure that you are cooking the meat to your standards (e.g. medium vs well done). Visit FoodSafety.gov for a table of safe minimum cooking temperatures. How do I store unripe, uncut avocados? Unripe, firm, bright green fruit can take up to several days to ripen at room temperature (approximately 65-75 degrees F, avoid direct sunlight), depending on the ripeness status at purchase. Store in the refrigerator to slow down the ripening process. Placing avocados back on the counter at room temperature will resume the ripening process. Avocados will turn darker green and soften when ripe. A light touch should allow for indentation. Overripe fruit is indicated by very squishy to the touch and may be brown when sliced open. A brown interior should be discarded. How do I prevent avocados from browning? A natural process called oxidation takes place when avocados are sliced open. This causes avocados to brown when exposed to air. Squeezing fresh lemon or lime juice over the exposed avocado flesh can slow down the browning.